The Jolly Postman came one day . 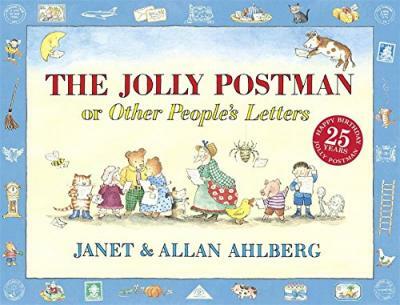 . .
Janet and Allan Ahlberg created some of the world's most popular picture books, including EACH PEACH PEAR PLUM and THE JOLLY CHRISTMAS POSTMAN, both winners of the Greenaway Medal, and THE BABY'S CATALOGUE, inspired by their daughter Jessica. Janet died in 1994 and Allan, a former teacher, now lives in London.